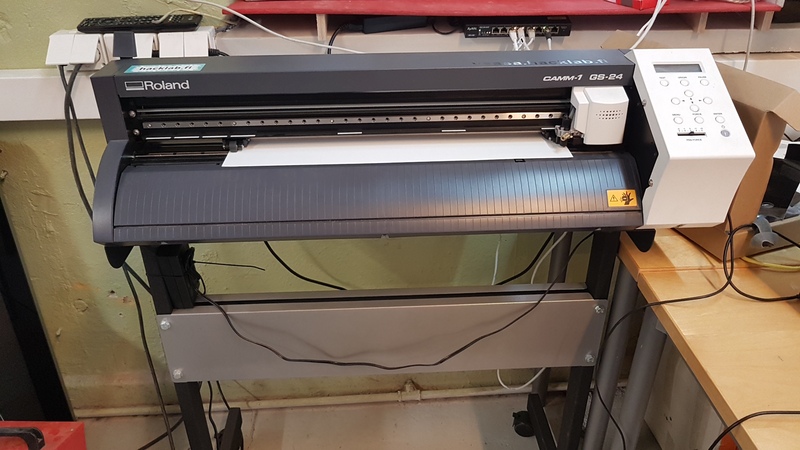 Making your own prints to stickers or T-shirts using the Roland GS-24 vinyl cutter is very simple. 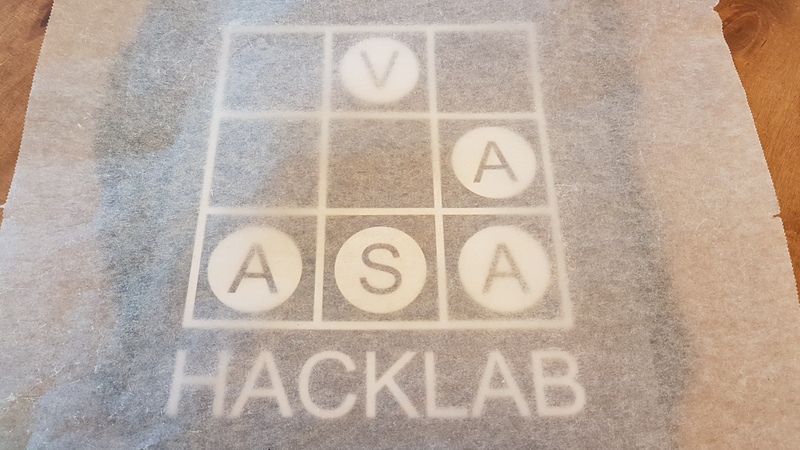 Hacklab has all the needed materials – the cutter, vinyl sticker or heat transfer film and a computer with pre-installed software. All you need to have is and an idea. 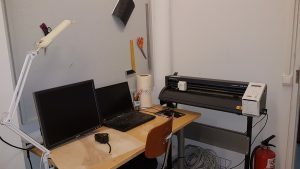 Roland Cutstudio is installed on the computer next to the vinyl cutter. 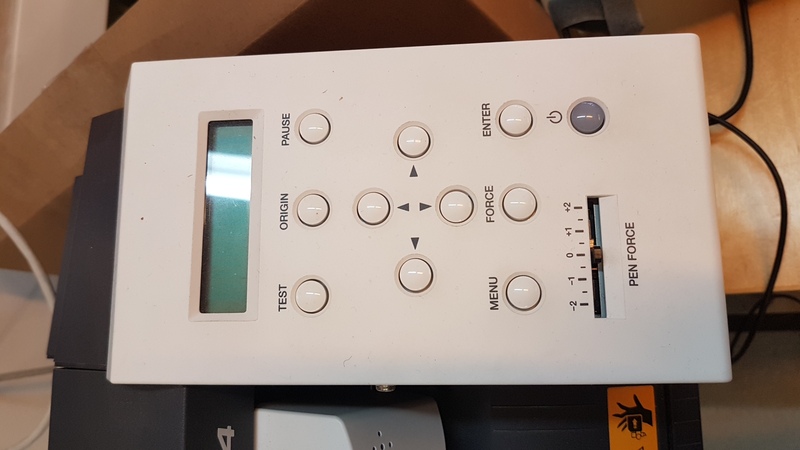 That is the software to use when creating the simple prints. In the Cutstudio you can create basic shapes and texts for printing. 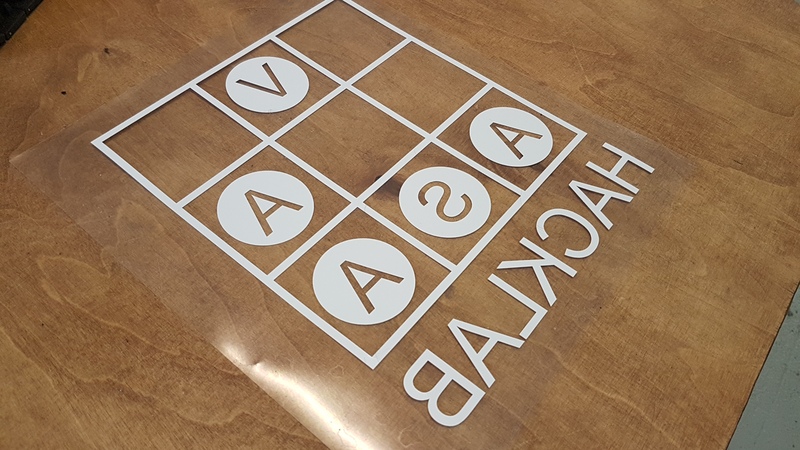 Take the vinyl sticker or heat transfer film and install it at the back of the machine, the side that will be cutted upwards. When the print is ready, start cutting. Remember to mirror. 5. 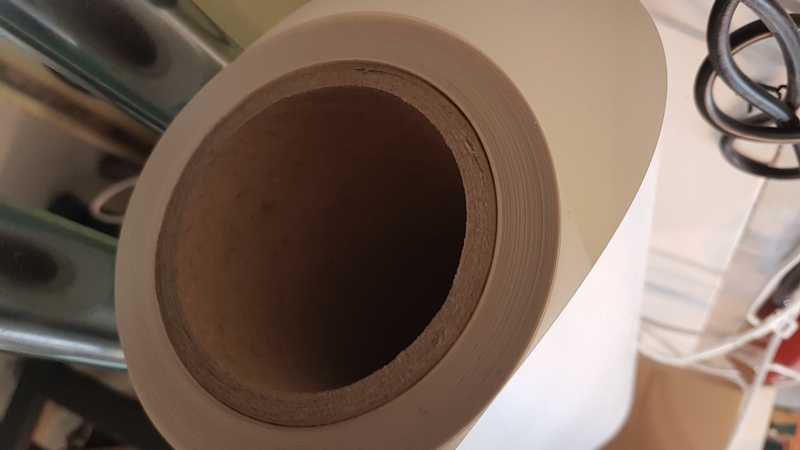 After cutting, roll down the film until it reaches the supporting stripe for cutting the entire width of the film. Use for example a stanley knife for cutting and try to cut a straight line. That makes starting easier for the next one on line. 6. 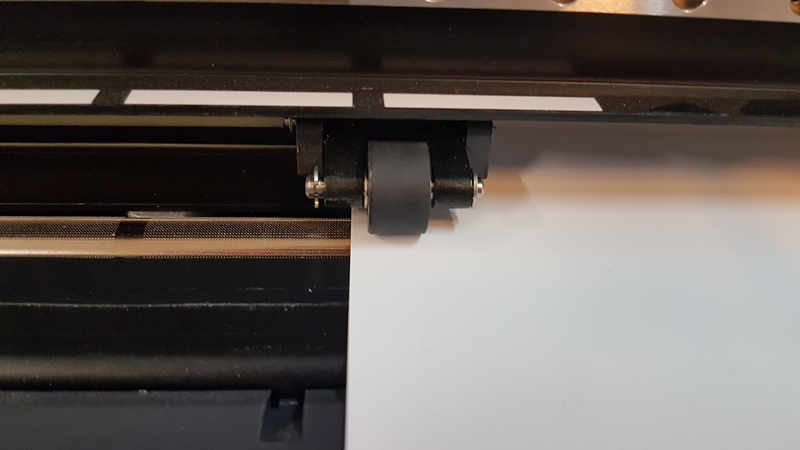 Peel away the parts that are not included in your print. Remember to peel down also the holes within the print. Stanley knife is a great tool to help. Iron the print to the fabric using approximately 2 dots on the iron. Do not let the plastic heat up too quickly to too unevenly. When you think you’re ready, coll down the fabric and peel of the plastic. If the film still sticks on the plastic, continue ironing.